The OneTouch Pixi 3 (5.5) is a new entry-level smartphone in the Alcatel OneTouch Pixi 3 range of devices. The recently-announced phone crams in a large display, decent processor and powerful battery with a generous capacity for an enjoyable multimedia experience. It is available in 3G and 4G models. Alcatel OneTouch Pixi 3 (5.5), as could be deduced from its name, comes fitted with a 5.5-inch capacitive touchscreen with differing resolutions between its two models. The 3G variant has a qHD resolution of 960 x 540 pixels, while the 4G boasts an HD resolution of 1280 x 720 pixels. Alcatel OneTouch Pixi 3 (5.5) 3G comes with an 8 megapixels main camera, but the 4G variant uses a 5 megapixels sensor for its rear camera. Both models have 2 megapixels front-facing shooters. This affordable smartphone runs on the latest Android 5.0 (Lollipop) mobile operating system. But there are differences between the 3G and 4G presentations of Alcatel OneTouch Pixi 3 (5.5), in terms of processor and RAM configurations. The 3G model uses a quad-core MediaTek processor clocked at 1.3GHz and backed by 1GB of RAM. For the 4G phone, a quad-core Qualcomm Snapdragon 210 processor running at 1.1GHz is used, supported by a RAM of 1GB. The 3G version of the Alcatel OneTouch Pixi 3 (5.5) packs a slightly larger battery of 2910mAh capacity, compared to the 2800mAh battery on the 4G. Alcatel OneTouch Pixi 3 (5.5) also has different on-board storage configurations. Both offer 8GB built-in storage. Users can expand the storage space using a microSD. Means of connectivity on the two models include Bluetooth, microUSB, 3.5mm audio jack, 3G and Wi-Fi 802.11 b/g/n. The download booster feature on the 4G variant makes super-fast download of large files possible through the simultaneous use of both 4G LTE and Wi-Fi. There is also a Wi-Fi display feature, which enables users to project content on the Alcatel OneTouch Pixi 3 (5.5) on a bigger screen. Alcatel OneTouch Pixi 3 (5.5) is not available in Nigeria. Alcatel does not currently offer phones in Nigeria so the availability of this phone in the country is in doubt. 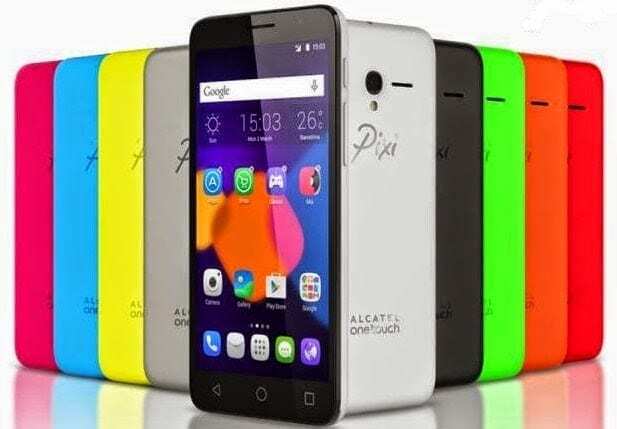 If and when available, Alcatel OneTouch Pixi 3 (5.5) Price in Nigeria is expected at around N60,000.